Don’t forget to check out the Road to Episode 6 campaigns! We’re currently looking for more volunteers to help out on Bumped. If you’re interested in assisting with one of the sections listed below you can contact (PSO2Ricardo#4505) on Discord! We’d like to thank all of our current patrons for helping to keep the site afloat! If you like the work that we do, please consider donating 1$ or more to continue our Phantasy Star coverage! Please [Refresh] the calendar after maintenance has ended! The Emergency Quest schedule will update during maintenance. Please resync the calendar periodically to receive the latest updates, as the schedule may change at Sega’s discretion. This calendar is unable to show Emergency Quests that occur at random. You can see the Emergency Quest schedule on your phone by subscribing to the Google Calendar. 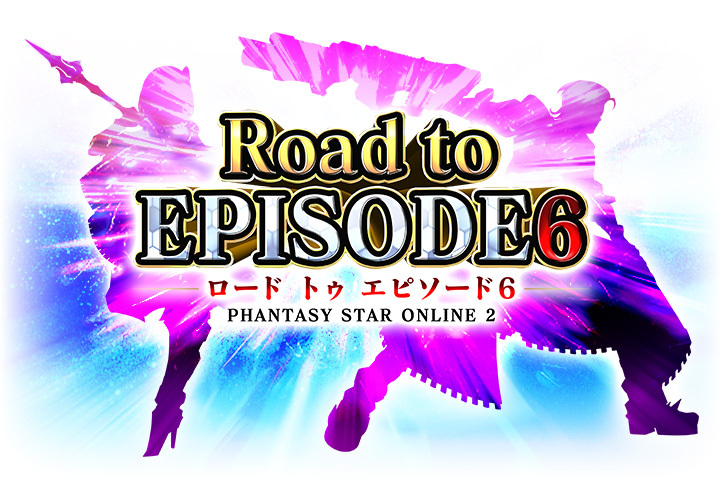 Prepare for the next episodic expansion to PSO2 with a huge campaign! The following bundles contain AC Shop items at a discounted price! ※Each non-highlighted bundle is limited once per account. During the Campaign Period, players will receive various gifts for purchasing a [Premium Set 90 Days]! During the Campaign Period, play in the [Arks BT 2019 Qualifier] to earn Weapon Badges! Login to all three Phantasy Star titles for presents in each game! To qualify for all prizes above, you must login to all THREE titles during the campaign period. If you login to TWO titles, you will not qualify for all prizes and will receive a reduced amount. If you wish to receive the full amount from the first list, you’ll have to login to PSO2, PSO2es, and IDOLA. During the Campaign Period, retweeting tweets with [#RoadtoEPISODE6] in them will reward all the players based on the total amount of retweets in total. Sega has put out a survey regarding the latest PSO2 updates, official web programs / events, etc. Players who fill out the survey will receive Star Gems at a later date! Don’t forget to check out the updated Road to Episode 6 campaigns! ※Each bundle is limited once per account. During the Campaign Period, players will earn rewards based on the number of subscribers to the PhantasyStarCh on Youtube!